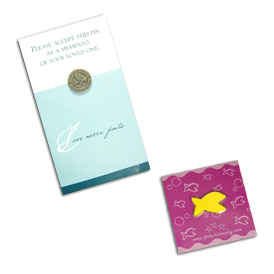 Romance cards present your lapel pin an an extra special way that adds greatly to the perceived value. PC21 - 1-1/2" x 1-1/2"
PC22 - 2" x 3-1/2"
Each item is custom printed. Custom sizing is available. Please call for details.